Oppo has introduced its new AX5s smartphone in Taiwan and the same device could be introduced as A5s soon in other markets although we do not have the pricing and availability as of now. The handset comes with similar specifications as the A5 that was recently launched. 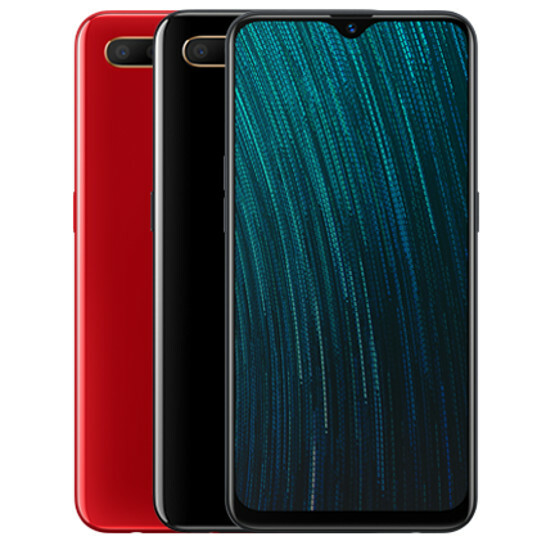 The device will be available in Black and Red color options and has the power button placed on the right of the handset while the volume rockers are placed on the left. Coming to the specifications of the device, there is a big 6.2-inch (1520 x 720 pixels) FullView Display with 19:9 aspect ratio and 2.5D curved glass on top. Under the hood, we can find a MediaTek Helio P35 chipset with eight cores coupled with IMG PowerVR GE8320 GPU and 3GB of RAM. The device will be coming out of the box with an older 8.1 Oreo operating system with the companies own ColorOS 5.2 on top. It will be interesting to see if the handset will be getting the Android Pie soon but the company has not mentioned anything about the same. This is a Dual SIM variant that supports 4G VoLTE connectivity along with other connectivity options like Bluetooth 4.2, Wi-Fi 802.11 b/g/n, USB OTG etc. The onboard storage of the handset is 64GB which can be extended further up to a maximum of 256GB via microSD card slot. On the camera front, the AX5s will be coming with a 13MP main camera sensor with LED flash coupled with a 2MP secondary camera. For selfies, Oppo has provided an 8MP camera with f/2.0 aperture size and the handset measures 155.9 x 75.4 x 8.2 mm and weighs 170 grams. Furthermore, there is a 4230mAh battery on the handset but nothing is mentioned if it is going to support fast charging. Are you planning to get this latest device from Oppo? Comment in the section below and we should be knowing about the global availability soon. Stay tuned to Android Advices for more.